eCommerce or Online business is developing all over the world for both the B2B and B2C marketing sections. Innovation advancements combined with fast increment in the quantity of cell phones, broadband connections, and inventive installment arrangements are driving this development in internet shopping. Be that as it may, the furious competition makes it fundamental for associations to collaborate with an eCommerce website development or improvement organization to keep up an edge over the competition. Infowiz Solutions is a company which delivers effectively custom eCommerce development services in Chandigarh alongside a thorough list of eCommerce website designs contributions which include theme customization, extension development, and maintenance services. Infowiz Solutions is an eCommerce Development Company in Chandigarh. 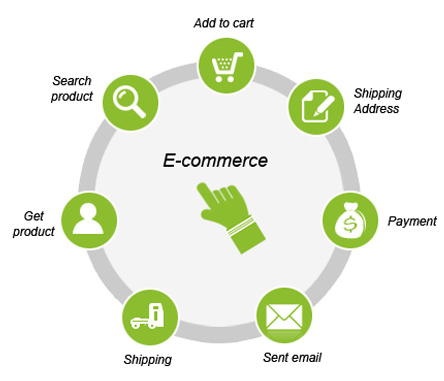 The Infowiz Solutions offer the below eCommerce Development services to its clients. Infowiz Solutions PHP developers team is well-knowledged in delivering complete eCommerce solutions over every single significant platforms like Magento, Virtuemart, Bigcommerce, Shopify, Zencart and so on. We can even offer you with custom eCommerce development over .NET and Java. Our experience over years encourages us grow very much designed user-friendly eCommerce sites which can be coordinated with different proprietary analytics tools. eCommerce websites coordinated with leading marketing campaign tools, web analytics and standard dealer systems. Third party security and fraud prevention checks as a basic part of the order procedure. Feature-rich eCommerce websites that cover all key retail works, including promotions management and campaign, multi-channel system, trading analysis, catalogue management and the system of content management for magazine style content. Payment Card Industry (PCI) Compliant, managed authentication and authorization and, full audit trails. In-depth reporting of key business measurements, for example, client procurement, orders, sales, discounts, payments, abandoned carts and so forth. Low abandonment from basket through the checkout to deal. We join with you for your success and also help you grow your enterprise in this advanced digital world.